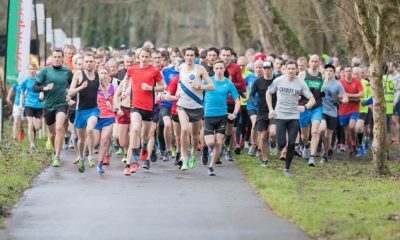 Mo Farah and Charlotte Purdue battled the cool temperatures to win the first-ever Vitality Big Half on Sunday (March 4). Organised by the London Marathon the 13.1 mile course saw runners pass through the boroughs of Southwark, Tower Hamlets, Lewisham and finish in Greenwich. 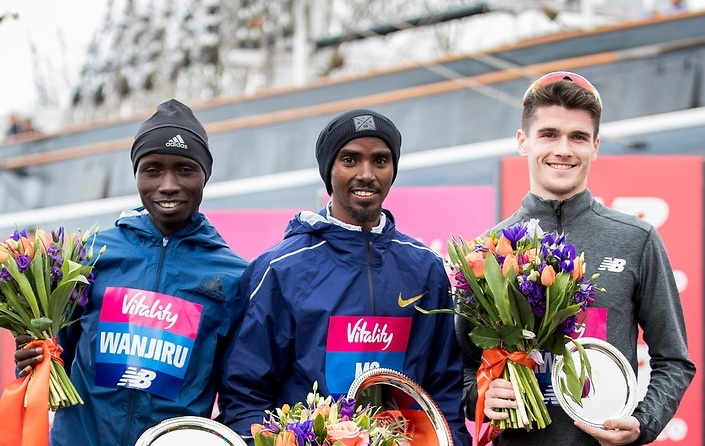 Mo Farah was well prepared for the chill in the air and as the race got going there was no surprise that Farah, Callum Hawkins and Daniel Wanjiru were out in front going through Limehouse tunnel and hitting the first-mile marker at 4:41. In the very early stages of the women’s race, it was the familiar trio of Charlotte Purdue, Lily Partridge and Aly Dixon out in front, but by two miles the Aldershot duo of Purdue and Partridge were clearly out to race and began to open up a gap on the rest of the field. 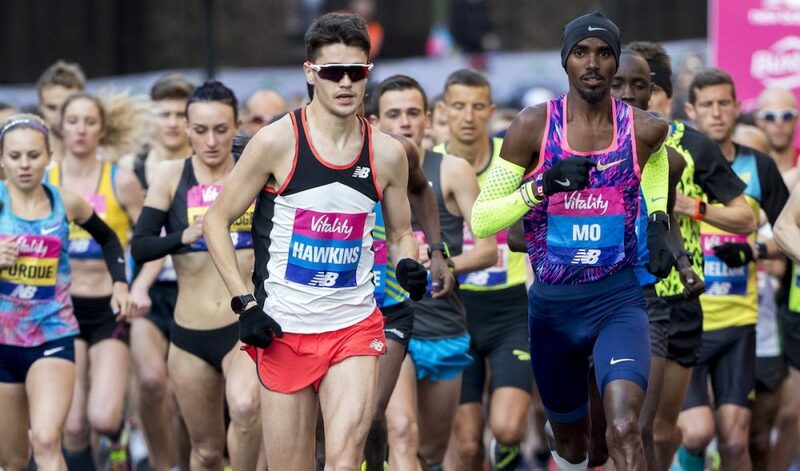 At the five-mile marker, the leading three men hit 23:30 and Farah made the first break of the day pulling away from fellow Brit Hawkins and London Marathon champion Wanjiru. That didn’t last long and Farah was soon drawn back in by the two challengers and by eight miles Hawkins made a move of his own and led the trio through in 37:28. For the next two miles, Hawkins maintained his lead coming through 10 miles in 46:56 with Wanjiru and Farah not far adrift. 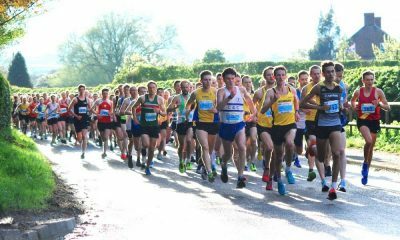 Purdue and Partridge were still out in front commanding the women’s race at eight miles and looking in great shape ahead of the London Marathon. At the nine mile marker, it was still a two-way race between Purdue and Partridge, with almost a minute gap ahead of Charlotte Arter and Dixon. 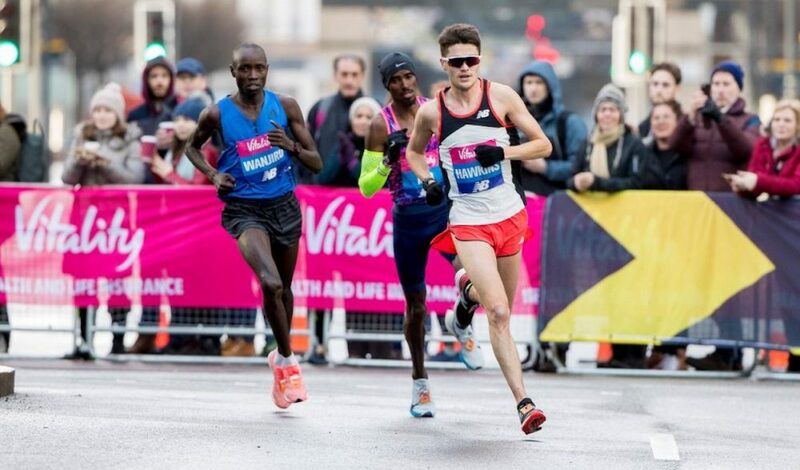 As the men headed into the last mile the leading three men were inseparable, with Josh Griffiths and Jonny Mellor among the second group of men. As they approached the finish in Greenwich multiple global track gold medalist Farah kicked using great finish and pulled away from Wanjiru and Hawkins to take the tape and win the inaugural Big Half title in 61:40. Wanjiru was three seconds behind in 61:43 and Scotland’s Hawkins third in 61:45. 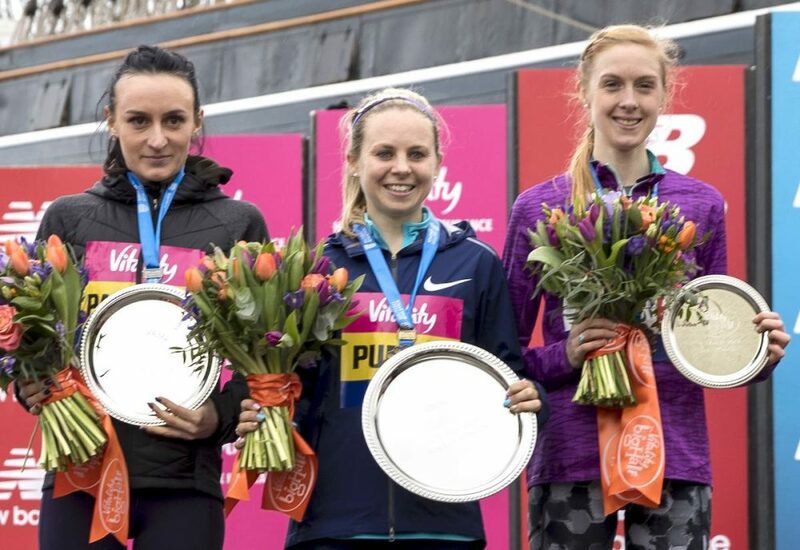 With the British Championships also up for grabs, Farah secured gold, Hawkins silver and Jonny Mellor won bronze in 65:03 finishing fourth overall. “I felt confident out there as I know I’m in great shape,” Farah said after his win. “I looked as good as Wanjiru today and both of us have to go 26.2 in April. I know I’m strong at the half marathon but it’s completely different when you try to run 26.2. Tsegai Tewelde finished fifth in 65:11, with Matt Sharp sixth in 65:13 and Josh Griffiths seventh in 65:18. Back to the women’s race at 10 miles Purdue, who has been in Australia training at altitude, demonstrated great strength to open up a gap on Partridge, with the pair already running at a fast pace. 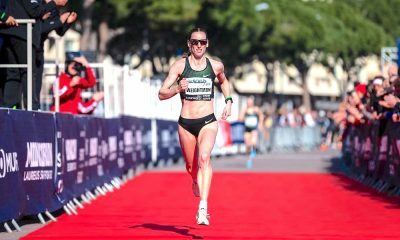 The 26-year-old held that pace for the final stretch and took the tape over 30 seconds ahead of her rival in a personal best 70:29. Partridge crossed the line in 71:06 which is the exact same time as her Seville course record set in January. 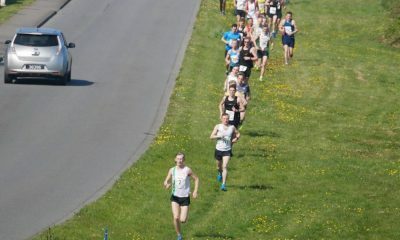 Finishing ahead of the more experienced athletes in the field for third was Cardiff’s Arter in a huge personal best 71:35. It was only the 26-year-old’s second half marathon and takes over one minute and 30 seconds of her personal best. With the World Half Marathon team selected tomorrow, all three women were well under the 75 minutes qualifying mark. The three podium athletes also took gold, silver and bronze in the British Championships. A trio of Commonwealth Games runners were next to cross the line, Sonia Samuels finished fourth in 72:57, Caryl Jones fifth in 73:28 and Dixon sixth in 73:34. In the elite men’s wheelchair race, British legend David Weir finished second to rival Marcel Hug of Switzerland. While Manuela Schär made it a Swiss double taking the women’s title. The top 15 results from both the elite men’s and women’s race can be found here.